The SE-RM-19-RS485-USB-08 USB-to-Octal RS485 Serial Adapter is designed to make serial port expansion simple. 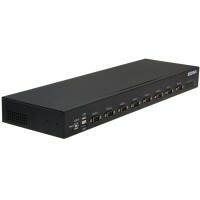 Connecting to a USB port on your PC, the USB Serial Adapter adds 8 RS485 serial communication ports to your system. 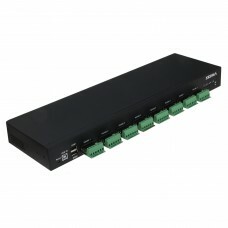 With FTDI USB-to-serial chipset, which provides easy installation into a broad range of operating systems.